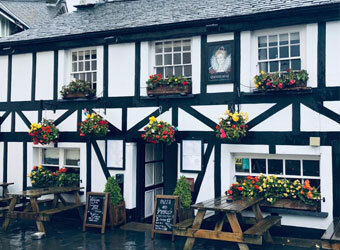 If you fancy a bite to eat, the Lake District has a wealth of dog friendly pubs. 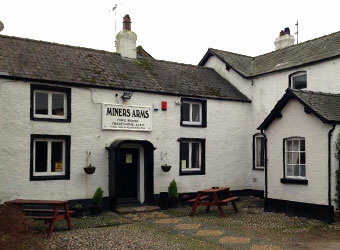 Many serving real ales and locally sourced food. 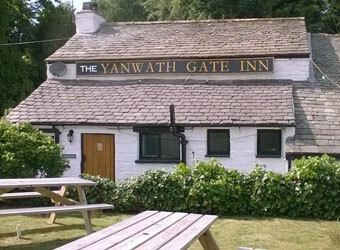 Whether you call in for a pint after a long walk or are looking for an evening out, you will be more than welcome. 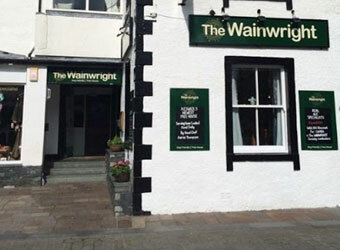 Browse our list below to discover a whole range of pubs from within the area. 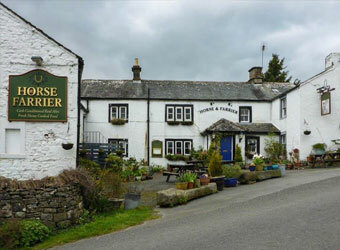 The Queens Head, a former 17th century coaching inn, nestled on the side of the fells over looking the Troutbeck Valley boasts unsurpassed views of Garburn Pass, High Street and 111 Bell Ridge. 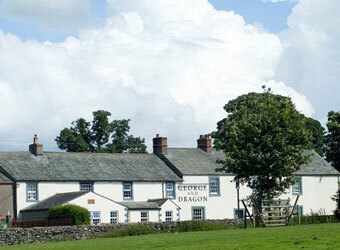 The George and Dragon is an 18th century coaching inn. It has been lovingly restored by local craftsmen who have reused stone, slate flags, design and colours sympathetic to the Georgian period. 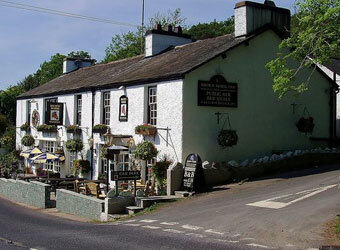 A great British pub in the village of Satterthwaite surrounded by the Grizedale Forest in the heart of the Lake District. 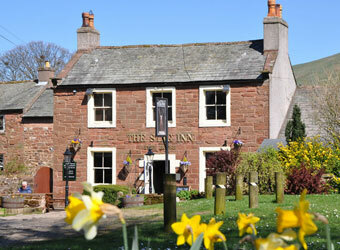 The Inn is a great place to visit, whatever the weather. 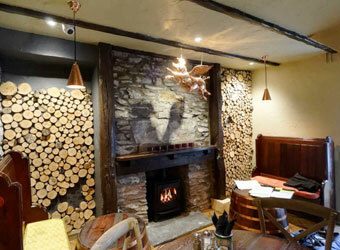 It has a lovely cosy log burner for chilly days, as well as a large beer garden - perfect when the sun is shining. 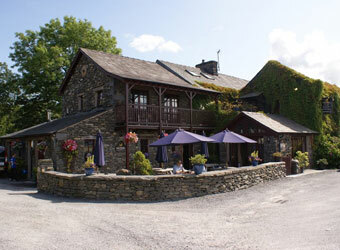 The Boot Inn Eskdale offers delicious home-cooked food in a beautiful property which hosts 9 letting bedrooms and stunning views of the Eskdale Valley. 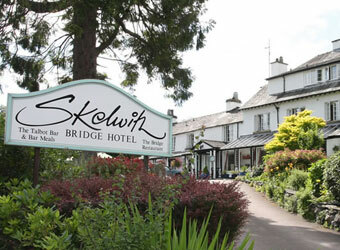 An established traditional Lake District Inn since 1689, The Mortal Man resides over the wondrous panoramic views of Lakeland mountains that have captivated the great minds through the centuries. 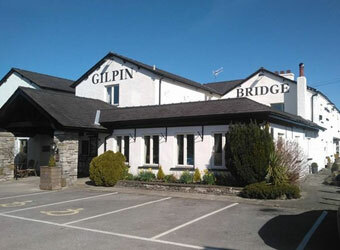 Gilpin Bridge Inn near Levens is a traditional inn offering great food, fine wines & a cracking pint, it has been tastefully refurbished to offer quality & style in a stunning location. 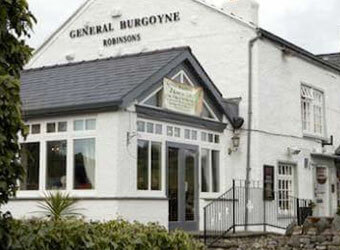 Offering superb food and great real ale. 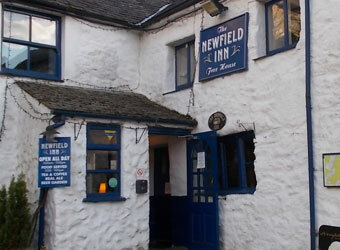 Recently refurbished with considerable care and attention, the Wheatsheaf is tucked away in the picturesque village of Brigsteer, three miles from the medieval market town of Kendal. 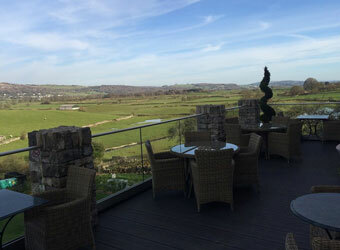 Snuggled beautifully between the majestic limestone outcrops of Scout Scar and Whitbarrow Scar, lying in the rolling, pastoral, damson tree-strewn landscape of the Lyth valley, is our luxuriously refurbished 9 bedroom hotel and restaurant. 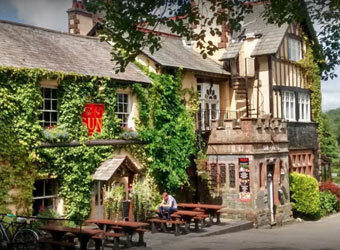 The Bitter End pub in Cockermouth is a traditional English pub and restaurant. 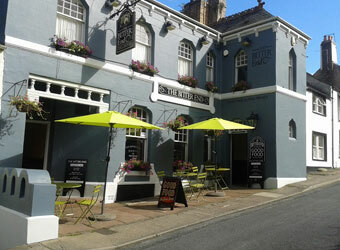 Serving fine wines, real ales and quality pub food, the Bitter End pub is the ideal place for a get together with friends or family. 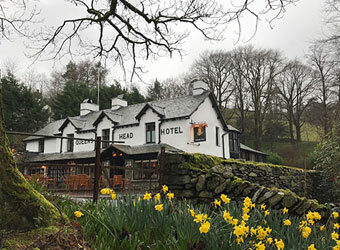 Whether you want to drink, dine or unwind, you will find The Queen’s Head the perfect base to explore the beautiful South Lakes of Cumbria and beyond. 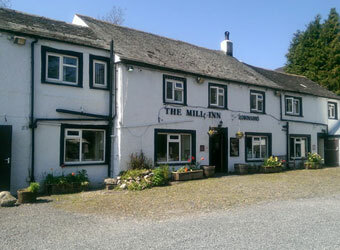 A warm welcome and a tasty real ale awaits you here at The Mill Inn! 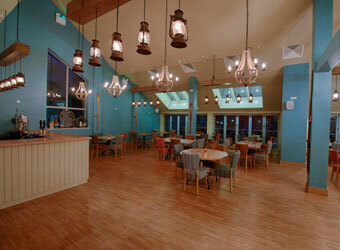 Good food, great atmosphere and wonderful views... it's the place to be! 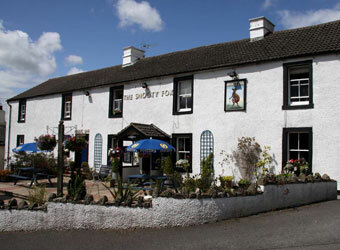 A real, friendly country pub and bistro. 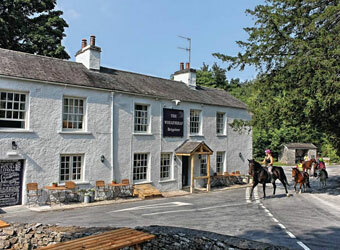 Situated in the picturesque village of Cartmel, within short walking distance of Cartmel Priory and Cartmel racecourse. 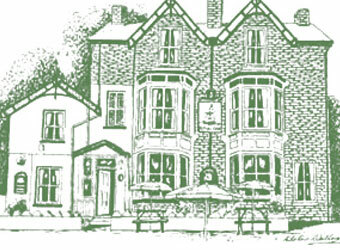 Just how a quaint old pub should be... log fires, real ales, good food, great atmosphere. 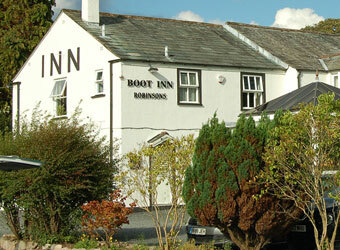 The Inn is a free house and has a changing selection of ales. 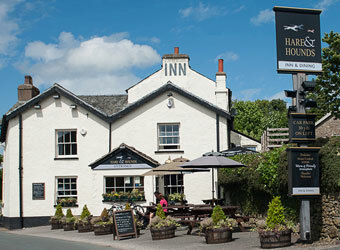 The Hare and Hounds is a gorgeous 16th Century coaching inn set in the pretty village of Levens, in the Lyth Valley, on the edge of the Lake District. 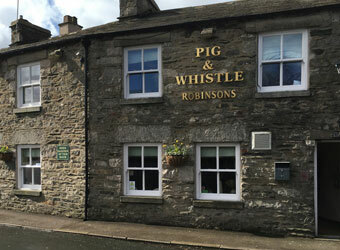 It’s a proper village pub, full of character, with a mean cocktail list, local cask ales, great craft beers and delicious comfort food. 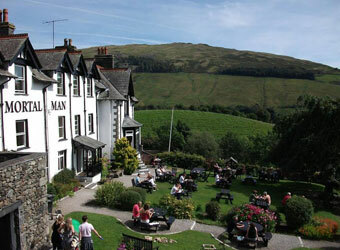 The Talbot bar is open daily serving traditional Lakeland food and fine Jennings ales throughout the day. 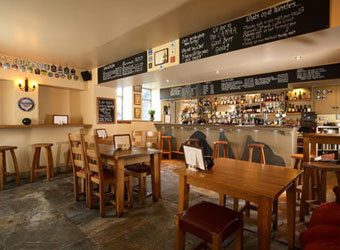 The Talbot bar are also proud to offer Lakeland Bedrock gin, Standing Stones vodka, Jeffersons rum and The One whisky. 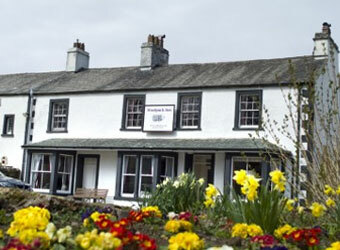 On the western side of the Lake District, the 17th century Inn at Ravenglass is located in the National Park's only coastal village. The Pennington is an historic inn with a contemporary interior, offering well-appointed accommodation and fine food from quality local ingredients. Quietly located in 6 acres of mature gardens sweeping down to the River Calder, close to the coast and at the foot of the Western Lake District fells, Sella Park is an historic property dating from at least the 16th century. 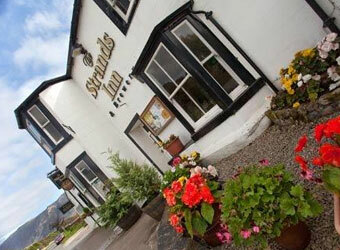 The Strands Inn was originally built as a Hotel and Post House around 1800. 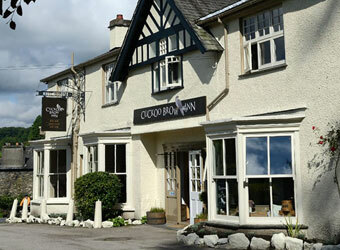 'The Strands' as it is affectionately known has always been the centre of local life in the beautiful hamlet of Nether Wasdale in the Lake District. Stepping into Tweedies Bar after a long day on the fells is like stepping into a little piece of heaven. Unwind in front of the log burning fire, relax with a pint of our award winning guest ales and satisfy your appetite with a hearty meal. 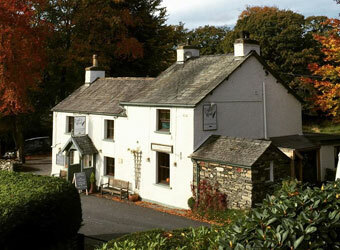 The Watermill is situated in the quiet village of Ings which is 2 miles East of Windermere. It has it's own award winning brewery on the premises and brews excellent beers. 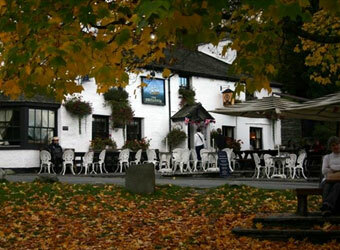 The Britannia Inn is nestled in the breathtaking Langdale Valley. Accommodation at the inn is comfortable and clean, with scenic views and delicious rustic seasonal pub dining, serving breakfast, lunch and supper.